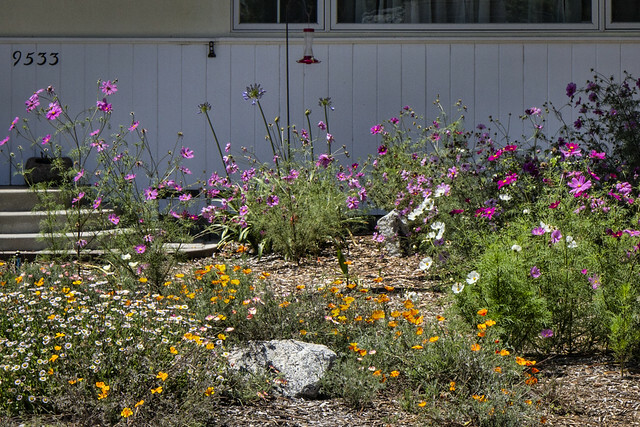 Here's another example of drought-tolerant landscaping. This one, with all its wildflowers, is more to my personal taste—and made me a bit jealous. No matter how hard I try, I've never been able to successfully grow cosmos (those purple and white flowers along the back). Maybe I've been overwatering them all this time?